Accueil » Articles	» Renewable energy: jobs for the future? What role in Africa? Renewable energy: jobs for the future? What role in Africa? The range of so-called renewable energies is rather broad since there are about ten techniques, most of which are very old (bioenergy being the oldest, followed by hydraulics, photovoltaic solar being the youngest). Photovoltaic solar energy, terrestrial wind energy and biofuels are, for the time being, the three main pillars (besides hydroelectricity) on which renewable energy development strategies are based and implemented by all countries involved in an energy transition. A recent report by IRENA (International Renewable Energy Agency, Renewable Energy and Jobs 2016, www.irena.org ), headquartered in Abu Dhabi, provides an update on the progress of renewable energy. As far as the evolution of jobs is concerned, an issue which is important insofar as in many countries, in France in particular, the prospects for jobs creation by the so-called “green economy » are often mentioned. Overall, IRENA has identified 8.1 million jobs worldwide in the renewable energy sectors (including industrial production of equipment, energy production and infrastructure maintenance), to which must be added 1.3 million jobs related to “large” hydroelectricity (namely large dams). IRENA, oddly enough, does not account separately for the offshore and offshore wind sectors. Jobs would have risen by 5% between 2014 and 2015, a figure that testifies to the rise of these energies although the pace of this growth of new jobs has slowed down since 2013. It is interesting to go into details, sector by sector and country by country. Solar photovoltaics is the sector with the highest number of jobs (2.8 million), with a strong increase in 2015 compared with 2014 (11%), mainly in the United States and Japan and with a stabilization in China. Biofuels with 1.7 million jobs come in second place but with a 6% drop in employment (partly attributed to the mechanization of crops). 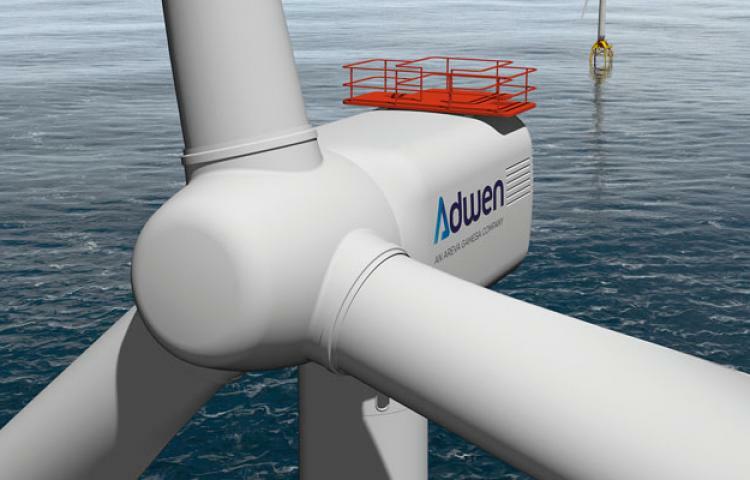 Wind power comes in third place with 1.1 million jobs worldwide (the picture represents a powerful 5 MW offshore Wind turbine), with a 5% growth, particularly in China, the United States and Germany. Concentration, or thermodynamic, solar energy to produce electricity comes in last position with 14,000 jobs whereas solar heat collecting techniques for heating and sanitary water represents 940,000 jobs but are in the background. One must observe that the whole bioenergy sector (biofuels, solid biomass, mainly wood, and biogas) represents 2.9 million jobs, a number equivalent to solar photovoltaic electricity. Cross-country comparisons highlight the major role played by six countries: China (3.5 million jobs), Brazil, India, the United States, Japan and Germany. France has only 170,000 jobs in these sectors (down 4% between 2014), half that of Germany. There is a clear migration of jobs to Asia, whose share of world jobs has increased by 60% in 2015. Lastly, the EU’s weight is decreasing, with 1.2 million jobs in 2015 down 3%). European industrial sector of solar energy (cells and panels production) collapsed in a few years, employment in 2015 representing only one third of the level it had in 2011. The EU has left its market to China, and to some extent to Japan and South Korea, for lack of an industrial policy and sufficient customs protection. China has also become the industrial leader of wind power, among the ten biggest global companies in the sector five being Chinese. Africa has little presence in the IRENA world panorama (about 60,000 jobs), while its energy needs are considerable, as former UN Secretary General Kofi Annan said in a report published after the Cop 21 about energy in Africa (Africa Progress Panel, Power People Planet, Africa Progress Report 2015, www.africaprogresspanel.org ). The report encouraged African countries to develop low-carbon technologies, particularly solar and wind energies. As we have pointed out, on several occasions in our blogs, the challenge for Africa is huge since two thirds of its population (mostly Sub Saharan countries) do not have yet access to modern energy and 700 million inhabitants of those Sub-Saharan countries do not have yet electricity. However, Africa’s energy resources are significant (hydrocarbons in particular, with hydroelectricity being under-exploited). As for wind and solar energies, the production potential is also important and totally underutilized (see Erica Gies, « Can wind and solar fuel Africa’s future?”, Nature, vol. 539, p., 3 November 2016, www.nature.com ), it would exceed the needs of Africa in 2030. Egypt would have an annual potential output of solar photovoltaic electricity of nearly 500 TWh (equivalent to the total French electricity production) and South Africa of 400 TWh, Angola a production of nearly 200 TWh of solar as Ethiopia. However, one must look at its figures with caution because there is a great gap between potentialities and reality: investments must be mobilized, techniques tested, experts trained, and so on. Morocco being a good example with an ambitious plan for the development of renewable energies, in particular solar energy, including the Noor concentration solar power plant in Ouarzazate (150 km from Marrakech as the crow flies), with a capacity of 160 MW which is emblematic. The « decarbonisation » of energy is undoubtedly underway according to the IEA which, in its report on the market for renewable energies in 2015, noted that this year marked a world record for new installed power (63 GW of wind and 49 GW Solar Installed, IEA Mid-Term Renewable Energy Report 2015, www.iea.org ). However, this pace is not reflected in a strong in job creation increase in the sector. Moreover, public policies in Europe are insufficiently encouraging, while certain technical factors are still blocking (the efficiency of solar cells for example), electricity storage remaining a lock that must be opened. 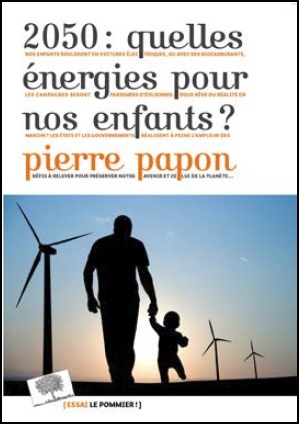 « L’avenir de l’énergie éolienne: le vent soufflera-t-il dans les pales?